As you might have noticed, the release of Homey v1.5 brings a lot of interesting new features to Homey. Groups in the Flow ‘and’-column, a brand new SDK for the developers among us and, perhaps the most notable feature, ZigBee support. If you open up your Homey, you would find a ZigBee chip (don’t actually open up your Homey!). Every Homey already had this chip. And with the v1.5 software update we’ve activated it. ZigBee is the low-energy variant of Wi-Fi, with a few extras for domotics. The technology brings connectivity for all 802.15.4 protocols and is integrated in a lot of smart lighting. It’s designed for small scale projects which need wireless connection, making it very useful for home automation. This means that the popular IKEA Trådfri products are being supported. Perhaps you’ve already seen our Hej Trådfri! video. 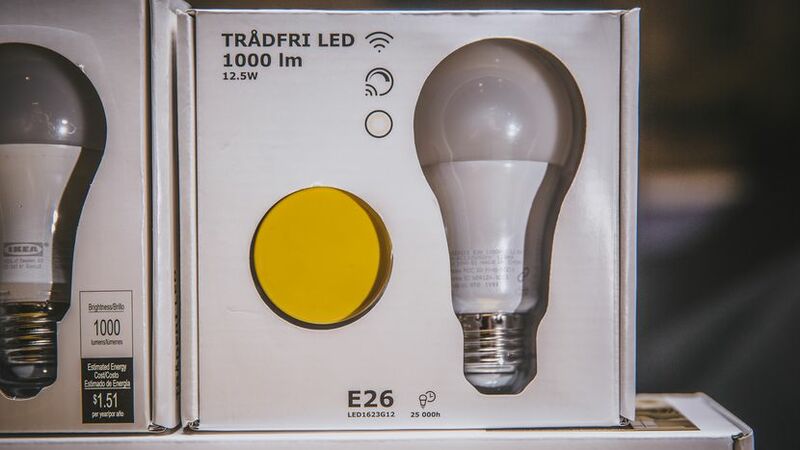 The integration makes Homey the first smart home platform compatible with the Trådfri line of the Smart Lighting Collection by IKEA. With development we always keep you, the user, in mind. That’s why we have created software that allows users to pair IKEA Trådfri lights directly to Homey, without the use of a bridge. Easily pair your lights to Homey by downloading the IKEA Homey App. After installation add the device to Homey, by simply turning it on and off once. At Athom, we always keep an eye on the future. Meaning that the colour changing lights by IKEA will also be supported by Homey. Even though they are being released in October, we’re already working on it. But wait, there’s more! We’re very well aware of the fact that many different brands produce high quality smart lighting, and not just IKEA. Our goal is to support all of them. After all, our credo is ‘Everything at home connected’. With Homey v1.5 and the activation of ZigBee we also made sure we’re supporting other brands that utilise the technology. So this release marks the start of our support for smart lighting by Trust Smart Home, OSRAM Lightify and INNR lights.